Honolulu isn’t exactly one of the places we’ve covered over the years though we do have a modest and dated presentation of the charmingly named Aloha Stadium included in StadiumDB. The current professional stadium of Hawaii can hold up to 50,000 people but its structure is already over 40 years old. The need for replacement was signaled already in 2015 and 2016, now we know more about the vision, which is supported by the Stadium Authority. So far it’s an early sketch but the guidelines are clear. 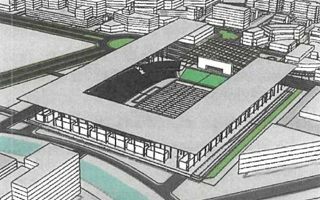 A smaller and more versatile stadium should be built where Aloha Stadium now stands. Its capacity should be between 30,000 and 40,000 and almost all seats should be covered. While we’re still possibly a couple years away from actual construction or even detailed design, the Stadium Authority confirms the need to replace Aloha Stadium is growing. It’s safe and operable despite its 40+ years now but maintenance is getting more and more expensive and it’s aging fast. The authority says a new stadium, along with the proposed rail and transit oriented development, will create opportunities for new types of events as well as ancillary development with the ability to generate significant new revenues for the State and local government and benefit the greater community as a new destination and gathering place adjacent to existing tourist attractions at Pearl Harbor. “This has created an opportune time for the State to determine the prudent path to ensure the highest and best use of its resource,” said Stadium Authority chair Ross Yamasaki.